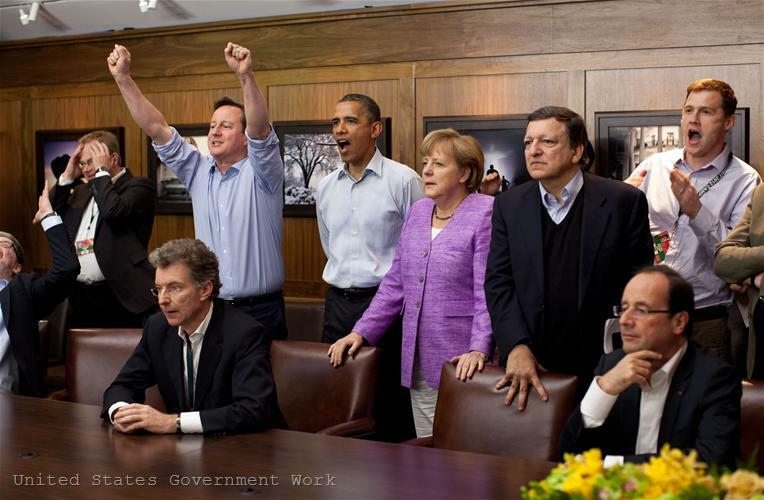 While Europe was holding its breath during the penalties that destined Chelsea to defeat Bayern Munchen in the Champions League final, the leaders of the eight most powerful countries in the world were also watching TV. 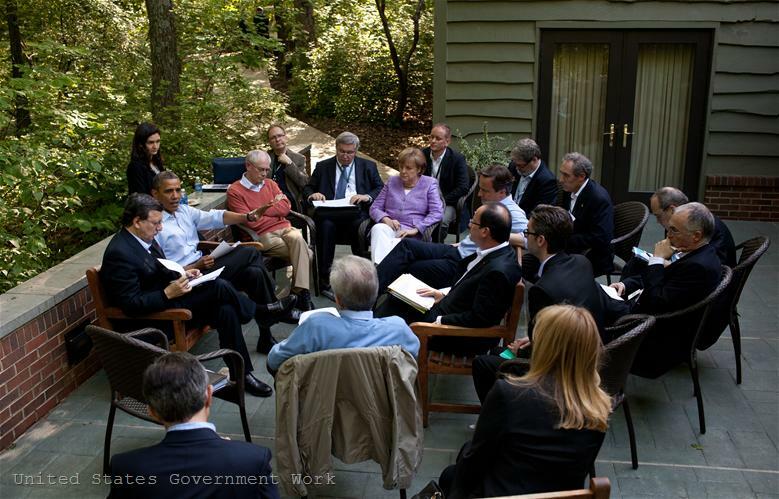 The images of leaders, watching the football game were the most published and commented story about the G8 summit at Camp David in the media and the social networks. 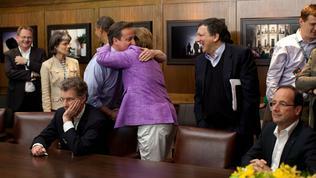 Chancellor Angela Merkel must have been disappointed, given her passion for football. 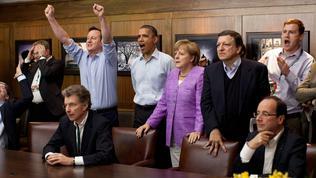 But the final declaration of the leaders seems to be completely satisfactory for Germany. Although the leaders announce growth and employment as their imperative, they expressly state that this should not come at the expense of fiscal consolidation but in parallel to it. The same gets unambiguously clear also by the statement of the presidents of the European Council and the European Commission, Herman Van Rompuy and Jose Manuel Barroso, after the meeting: "There was agreement between the G8 leaders that growth-boosting measures and efforts to put public finances on a sounder footing go hand-in-hand. Opposing the two is false debate." The German rhetoric is even more evident in the following paragraph of the Camp David declaration: "We agree that all of our governments need to take actions to boost confidence and nurture recovery including reforms to raise productivity, growth and demand within a sustainable, credible and non-inflationary macroeconomic framework". Here follows the key clarification that "the right measures are not the same for each of us." Countries must apply "sound and sustainable fiscal consolidation policies that take into account countries’ evolving economic conditions and underpin confidence and economic recovery." This means that everyone is free to choose policies which they see fit, provided they meet the overall goal. In that sentence an important message to the euro area lies too - that prescriptions for budgetary savings, prescribed to individual countries, should reflect national economic circumstances. For quite some time analysts and politicians have been accusing Brussels of offering a standardised "German" recipe to the troubled countries and of measuring them with the same yardstick. The same approach was used during the creation of the fiscal pact early this year. Now, there are clear signs (for example, in the case of Spain) that there is a move toward a more flexible policy and compliance with national characteristics. But it would be premature and rather frivolous this to be interpreted as a loosening of fiscal discipline. There is also strong support in the European Parliament for the thesis that the deficit reduction timetables should be applied more flexibly. French President Francois Hollande in turn could be pleased with the commitment of the countries, along with conducting structural reforms, to invest in education and modern infrastructure. The statement reads: "We commit to promote investment to underpin demand, including support for small businesses and public-private partnerships." And in his closing statement after the meeting, US President Barack Obama announced that the agreement on the need for more measures to support growth and employment was strengthened at Camp David. Based on our own experience we know that economic growth gives us more room to take a balanced approach to reducing our deficit and debt, Mr Obama said. But admitted that Europe’s situation was more complicated, because “when they want to decide on a way to move forward, there are 17 countries in the eurozone that need to come to an agreement”. That is why British Prime Minister David Cameron reiterated again at Camp David, that the eurozone needed a strong central government and a common policy in order to survive. The conclusions send a message that he often sends to the euro area: "We all have an interest in the success of specific measures to strengthen the resilience of the eurozone and growth in Europe. We support Euro Area Leaders’ resolve to address the strains in the eurozone in a credible and timely manner and in a manner that fosters confidence, stability and growth." In a television interview during the meeting, asked if an agreement could be reached what to be done in the euro zone, David Cameron said: "Well, the G8 can’t instruct the eurozone what to do. But why meetings like this matter is that eurozone countries can hear from countries outside the eurozone, where … whose economies are affected: obviously Britain, but also America, Japan, Canada. It’s very important these messages get across, and I would say there is a growing sense of urgency that action needs to be taken, contingency plans need to be put in place. 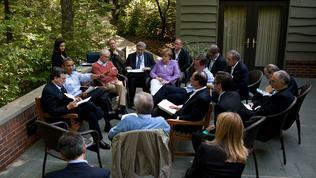 And the strengthening of banks, governments and firewalls and all of those things need to take place very fast." One day earlier, in a speech devoted to the economy, David Cameron was quite specific about what the eurozone needed- „greater forms of collective support and collective responsibility" through the creation of Eurobonds and implementation of project bonds, as well as supportive monetary policy by the ECB. "The eurozone is at a cross-roads. It either has to make-up or it is looking at a potential break-up", Mr Cameron said, knowing how European politicians do not like to hear such remarks namely from London. Speaking of a euro break-up, Greece has also found a place in the final declaration of the G8 leaders, who confirmed their interest in "Greece remaining in the eurozone while respecting its commitments." And if it respects them, Europe would help Greece to promote economic growth, as French President Francois Hollande promised in Berlin. How? With more money. Perhaps the issue will be discussed in detail at the informal summit of EU leaders on 23 May, which will be devoted to growth. It will not be easy for the German chancellor to swallow the official dinner with the new financial incentives for the economy as a starter and, if we believe The Financial Times, even tougher main course – bank recapitalisation with European money. The newspaper writes that the leaders will discuss allowing the eurozone bailout fund (ESM) to lend money directly to financial institutions - currently it is allowed to lend funds for bank recapitalisation but only to the states and under certain conditions. The idea enjoys the support of the European Commission, the IMF and France, as in the face of its previous, so in the face of its new president. Germany was the strongest opponent to the proposal so far, but it is not certain that Berlin`s resistance would last longer, having in mind the situation in Spain. For dessert, Chancellor Merkel will have to take another tough topic – the Eurobonds. On this issue Germany is strongly opposed, but it is completely isolated, because, unlike his predecessor Sarkozy, Francois Hollande is an advocate of the idea. Strong pressure for Eurobonds comes also from the European Parliament. 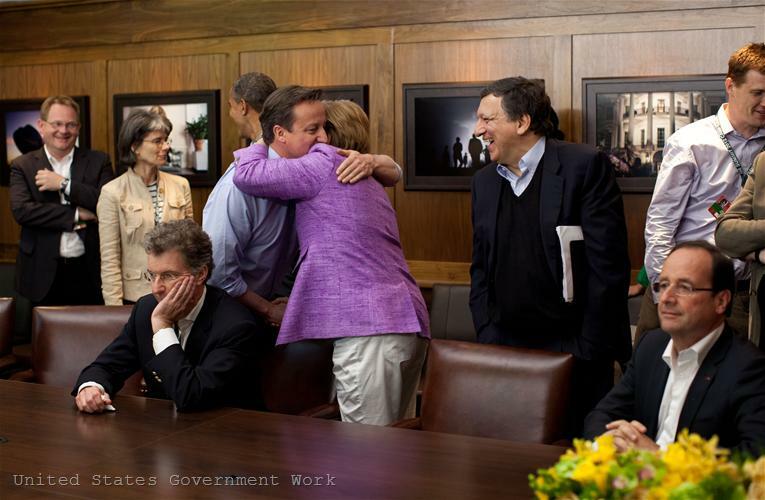 And if at Camp David Merkel received a comforting hug from David Cameron, it is unlikely this to happen in Brussels on Wednesday evening. The Chancellor again must take difficult decisions, meeting the expectation to "save" Europe without letting this to cost her criticism at home, given the upcoming elections next year. The Christian Democrats have suffered heavy losses in several local elections and can no more afford to disappoint their voters. And Angela Merkel, as an experienced politician and a football fan knows that one should not wait until the penalties, letting the game be decided by chance. news Austerity and Growth - the Two Sides of the Same Coin. What Is the Third?